Give the gift everyone will love this year—For Your Party’s Boozy Wine bar cart gift set. 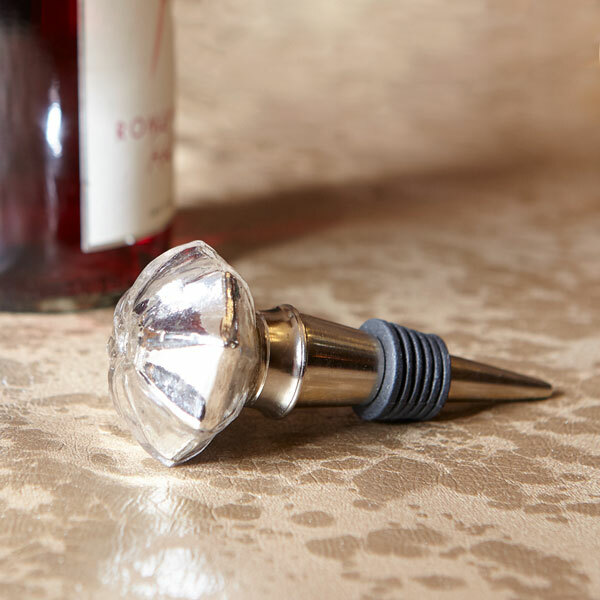 With 3 separate sets of designer curated trendy foil stamped cocktail napkins, plus a gorgeous silver mercury wine stopper, the Boozy Wine bar cart gift set is sure to please even that person on your list who has everything. 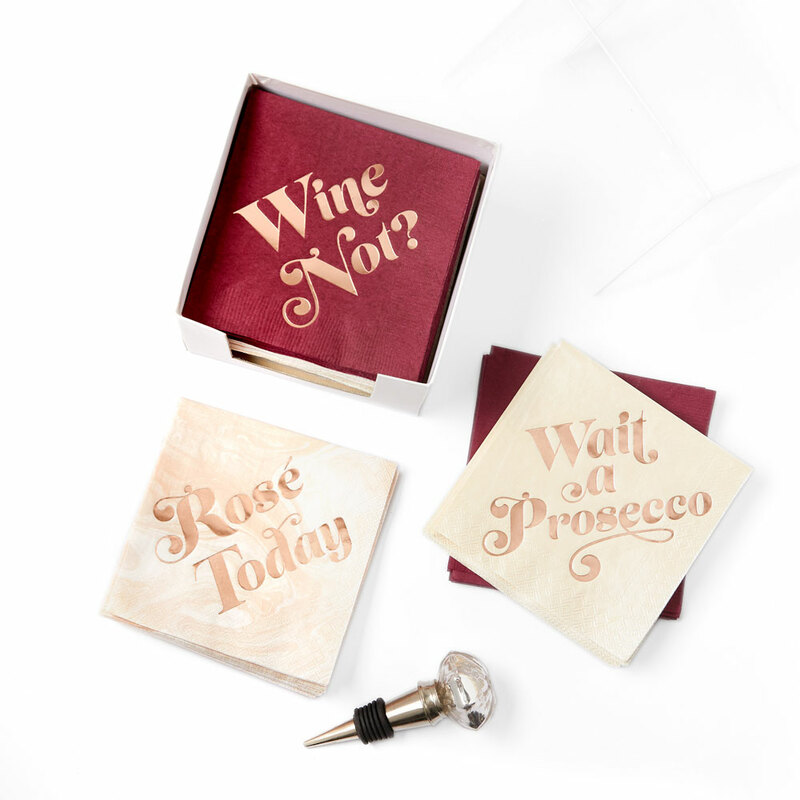 Each set of custom cocktail napkins has a clever drink-related quip: “Wait a Prosecco!”, “Wine Not?” and “Rosé Today.” This unique gift idea is both useful and fun, not to mention that the bar cart gift sets are gift ready. Keep a few on hand for last minute gifts or simply to add a fresh look to your home bar cart for holiday hosting. 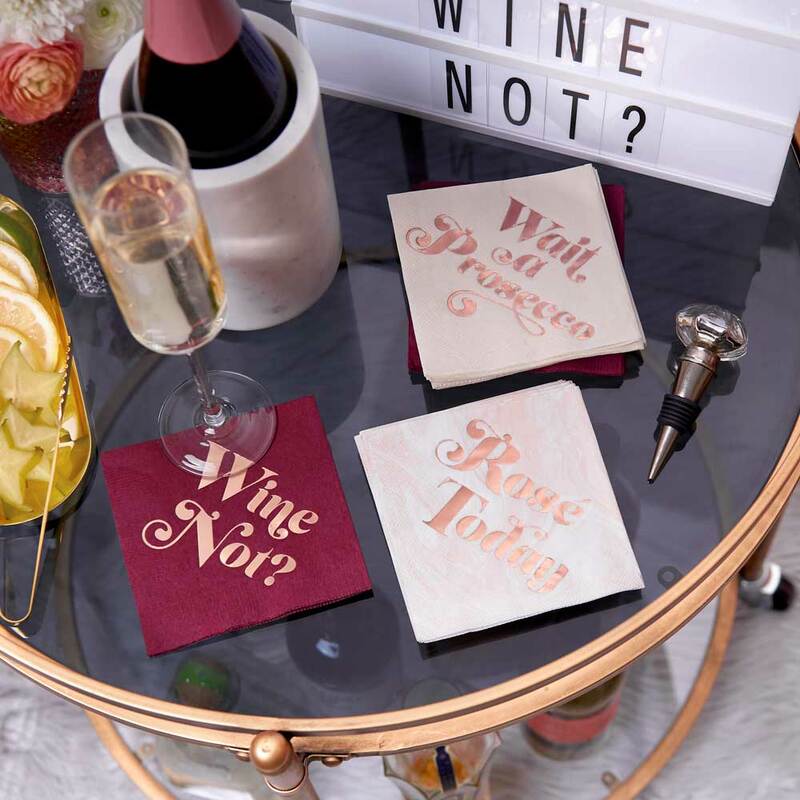 With 60 coordinating cocktail napkins, bar carts everywhere will be getting a major upgrade this year with For Your Party’s Boozy Wine bar cart gift set. Perfect for hostess gifts, birthday gifts and housewarming gifts, you can confidently give the Boozy Wine bar cart gift set! 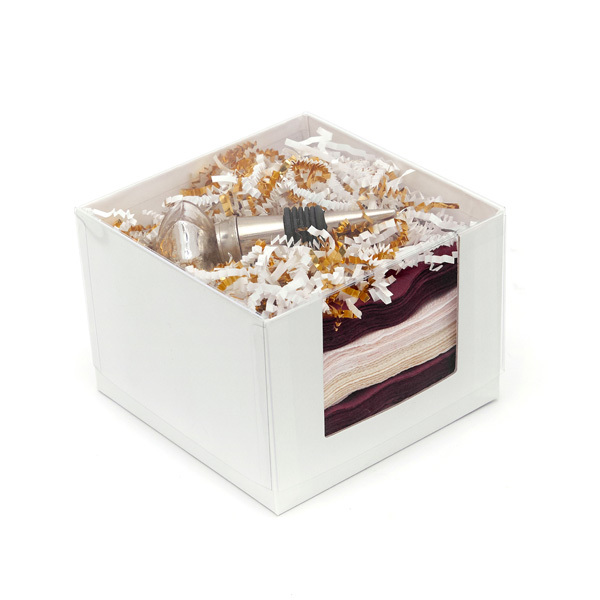 With same day shipping on gift sets, this quick gift idea will arrive in plenty of time. There is no need to shop around, our bar cart gift sets are a perfect gift option for all types of people on your gift list this year.